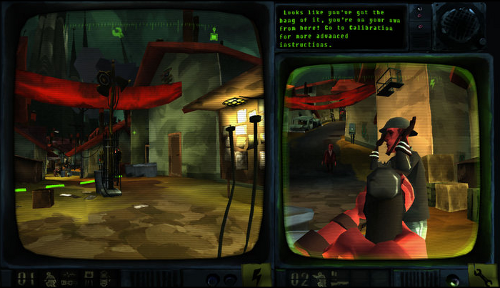 Signal Ops was designed with old school sensibilities in mind, giving us plenty of open areas as well as twisted little passageways to explore instead of, you know, cut scenes and straightforward levels. (Burn?) It's also got a wry sense of humor and some pretty unusual graphics. Co-op play allows up to three players to run through single player missions together, dropping in whenever someone gets the urge to eliminate the enemies of the Dark Father. Page created in 1.6559 seconds.